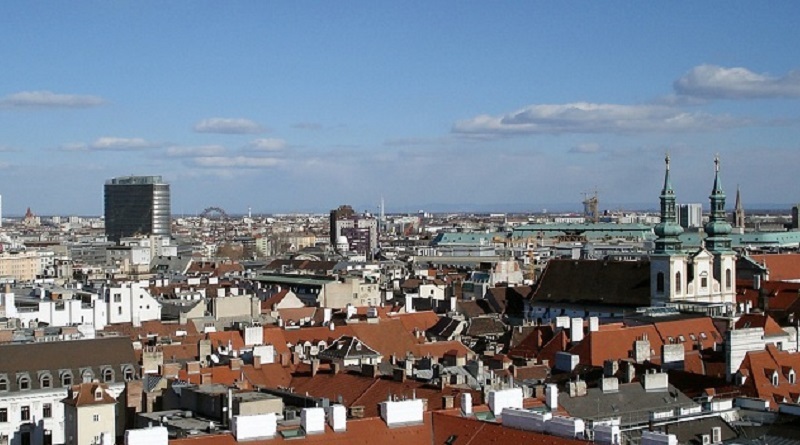 Vienna, Munich, Sydney, Florence and Venice are world’s most reputable cities, according to the Reputation Institute’s latest (2014) city reputation ranking. 100 cities around the world were rated for advanced economy, appealing environment and effective government. The city reputation ranking illustrates which cities people can’t wait to visit, and where companies are most eager to invest. A strong (favourable) city reputation matters because it attracts FDI, tourists, highly skilled workers and facilitates selling of products of the city abroad (city-of-origin effect). Read on for a summary of key insights from the 2014 city reputation ranking and some thoughts and interpretations. European cities lead the city reputation ranking, followed by North American cities and, further behind, the cities of Asia-Pacific, Latin America and Africa (only G8 member states were included in the survey). Perceptions related to high quality of life standards, appealing urban areas and safety are more relevant to reputation than an economic indicator such as GDP. In fact, only London and Barcelona – both in the top-ten of the 2014 ranking – are also at the top of the list in economic indicators. The reputation of a country affects the reputation of its cities: 2014 results confirm a close correlation between country and city reputation (the Reputation Institute uses the same methodology for its country ranking). In general, cities’ reputations tend to be higher than the reputation of their home countries. Renowned cities often have better reputation. Seven of the most celebrated cities around the world are included in the list of the 30 cities with “strong” reputations, according to the study. Reputation rankings such as the one on cities, as presented by the Reputation Institute, lead to much interpretation, sometimes protest. We all have our specific perceptions and image of certain cities, and would expect the reputation ranking to reflect those. Take Paris, for example, a city which Susan Adams in her summary of the city reputation ranking on Forbes.com would expect to be among the top ten, but which “only” rates at No. 15. Her (Reputation Institute’s) guess is that a common perception of French people as unfriendly (a finding from the Institute’s Country Reputation Ranking), influences people’s perception of Paris. Thus, albeit No. 1 in terms of attractive environment, overall Paris lags behind. Across the Atlantic, New York City residents might find the absence of their beloved city in the top ten hard to swallow. The thing is, international media representation, including fictional films and TV shows, can have a strong impact on a city’s reputation, regardless of the facts. The Institute’s guess is that New York, although the most highly rated among the American cities included in the report, comes in at No. 25 because it has long been portrayed in the media as dangerous, which damages its reputation. The surprise winner is Munich as No. 2 just after much-lauded Vienna, benefiting from the halo effect of its successful soccer team, Bayern Munich. Other likely reasons are people’s fond memories of visits to the annual Oktoberfest, and the general high regard of Germany as economic powerhouse and stronghold in financially turbulent times. Here the article on Forbes.com. Size isn’t the main criteria for being included in the list. For example, Lagos and Guangzhou don’t feature. Rather, this is a benchmarking among cities that are best known to international travellers, among other factors. Within the three categories of economy, environment and government, cities were ranked on 13 attributes. The two most important being whether the city is considered beautiful, and whether it is viewed as a safe place for visitors and residents. On the economy, RI asked whether respondents think the city produces a wide array of unique products and services, whether it houses the headquarters of leading companies, and whether the city is technologically advanced, financially stable, has potential for growth and is generally a favorable environment for doing business. As for environment, in addition to beauty, the questionnaire asked about experiences like food, sports, architecture and entertainment, and whether well-known people like artists, scientists, inventors and athletes live there. For the ranking, The Reputation Institute gathered its data from a large sample, an online poll of some 19,000 people in the G8 countries, which it ran in January and February 2014. It instructed respondents only to answer questions about cities they knew. Some 200-300 people ranked each of the 100 cities. Enjoyed this post on city reputation ranking 2014? Spread the word!